Need to write a report about electricity? 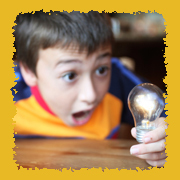 Or just want to know more about some aspect of electricity that has caught your interest? You've come to the right place. Simply click on the questions below, and you'll be on your way!